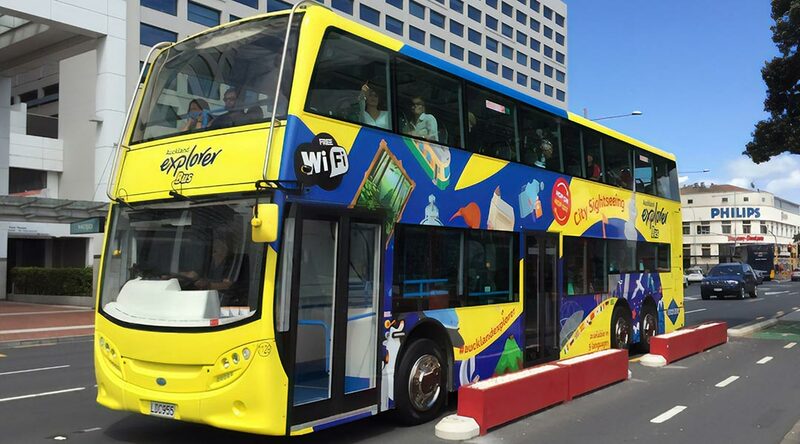 Save on Auckland Explorer Bus 24 & 48 hour passes with SkyBus. Add an Auckland Explorer Bus sightseeing tour to your SkyBus airport transfer ticket and save. Auckland Explorer Bus is the city’s original hop on hop off sightseeing tour. Explore Auckland’s top attractions in your own time and enjoy interesting commentary and friendly service along the way. The Red Tour covers Auckland’s central city and waterfront highlights including Kelly Tarlton’s, the Sky Tower and Parnell Village. The Blue Tour starts and finishes at the Auckland Museum and visits attractions like Mt Eden, the Auckland Zoo and MOTAT. Auckland Explorer Bus operates 365 days a year. Both Red and Blue tours have regular departures throughout the day. For more information visit the Auckland Explorer Bus website for Routes, Timetables, Attractions as well as Frequently Asked Questions.